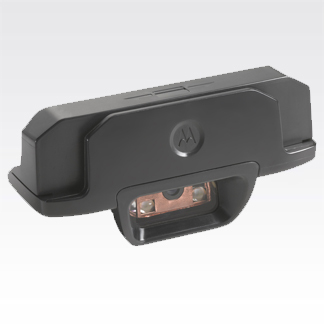 For one of our applications we are using the Motorola ET1 and the new ET1 Scan/MSR Module(MSRSCAN) with RhoElements 2.1.1.7.Â To access the MSR interface we then use the RhoElements Card Reader interface to scan the mag-stripe. I actually had another problem that I posted to the Motorola Launchpad Site (CardReader Event Problems) that is now fixed thanks to Darryn Campbell. What I was doing was putting single quotes around the event argument, ‘%json’ instead of just %json itself.Â This causes the event processor to escape the returned data, which is obviously not what we needed. Just separate the selectors with commas. To return to the referring page set the window location with the referring pages URL. For a long time I have been using the Code Snippet Plugin for formatting source code in the blog.Â It uses the GeSHi engine which always seemed to work well.Â Now that I’m moving some stuff around I went to load it and I see that it is no longer active and only supports up to WordPress 2.8.1 so I guess I need a new one. Now it seems like the choice is WP-Syntax which also uses the GeSHi engine so I’m optimistic that it will handle the parsing for me.Â However the syntax is different so it will take some work if I want to migrate old stuff forward. The syntax for the various options is located on the WP-Syntax Usage page and includes line numbers (line=”42″), escaped html (“escaped="true"), highlighting (highlight="3"), and captions (src"https://github.com/shazahm1/Connections/blob/master/connections.php").Â You can even do your own custom GeSHi configurations. When handling a Web Service it’s easy to focus on the parameters passed in to the web method, but there is a lot of additional information that comes along with the overall web platform.Â You can access the various Uri information at System.Web.HttpContext.Current.Request.Url. Â Â Â AbsoluteUri: “http://192.168.0.73/snapRETAIL/Security/snapRETAIL.Security.WS.asmx/LogonWithSiteNoHashNew” – The full path of the URL. Â Â Â OriginalString: “http://192.168.0.73:80/snapRETAIL/Security/snapRETAIL.Security.WS.asmx/LogonWithSiteNoHashNew” – The Uri as entered on the client. Note: DnsSafeHost is the one that can be used to do a call that is processed by DNS, it is sanitized to eliminate extended characters that don’t work with DNS.Â Host is the original value which can included these characters.Â Also see SO: Host vs DnsSafeHost.